What first got you interested in marine life? I grew up in Essex, south-east England in a council flat and you can’t get much further from the sea and wild places. I remember watching Jacques Cousteau and Hans Haas on TV, and of course those great black and white shark images, when you’re a young boy they get you excited. How did you get to be where you are, and what have been the turning points? Because you have a great job, right? I certainly do. I was 11 years old and I’d just failed the 11+ and inevitably I managed to fail the 13+ as well! I fell into a bad group and became disconnected from school. Then a geography teacher took us lads who were struggling at school to a youth hostel near Merthyr Tydfil in Wales. I couldn’t do trigonometry or geometry in class, but doing night navigation with the map and compass I got it! I remember sitting out on the back step peeling potatoes and thinking, wow, I’m alive! I got my diving qualification through the BSAC (British Sub Aqua Club) during my apprenticeship at the Ford plant in Essex and in Easter 1969 I did my first sea dive at Chesil Cove on the south coast of England. 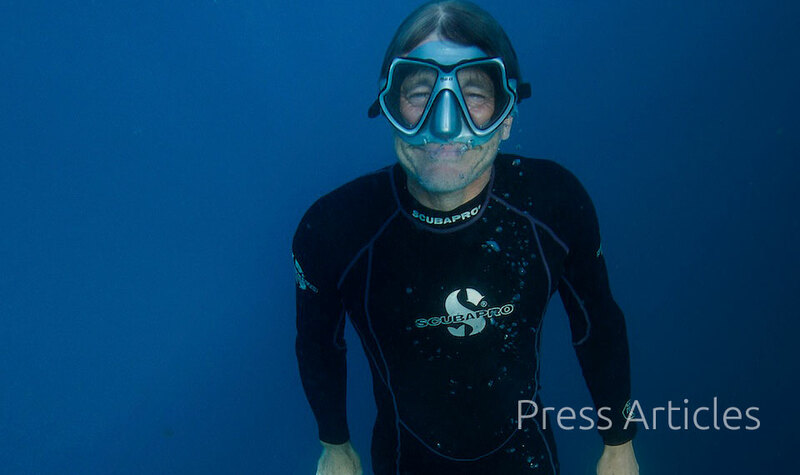 All of a sudden I was underwater; there I was in the least understood ecosystem on the planet, a wonderful moment that convinced me I was on the right track. When I finished my apprenticeship, the UK was a grey place; everybody on strike. I replied to an advertisement in the Sunday People for toolmakers with Johnson Outboards in the US. So in 1973 I went from grey depressed Britain to Illinois and that wonderful American ‘go for it’ attitude. When I heard about PADI (Professional Association of Diving Instructors), I realized I could become a diving instructor and I went for it! I started teaching at high schools and the YMCA, then I got my commercial diving ticket and won some small contracts. Then I found out about the Great Lakes Naval Training Center. They had restructured and a contract came up for a diving instructor, so I went for that as well! I became Director of the US Navy SCUBA diving programme at the Great Lakes Naval Training Center and I left the engineering world behind me. At that time I realized there were opportunities in Antarctica with the British Antarctic Survey (BAS) and I became a Field Assistant (a mountain guide for scientists). I’ve got a good head for science; taking a complex science idea and turning it into practical logistics came naturally to me. After a few years BAS offered me the job as base commander and during my 10 years there I set up all the diving protocols and operations. What a life! 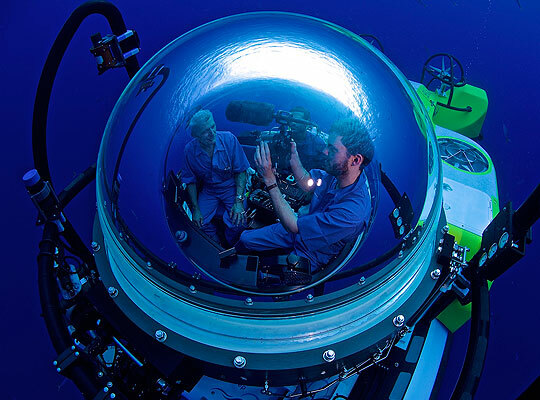 Every dive was a world’s first with some of the world’s finest marine scientists. I think the same part of the brain that translates a hypothesis into practical logistics also works for communicating it, so that’s where broadcasting work came in and I picked that up with the BBC about nine years ago. It’s a beautiful life, to take my love of sea and diving, and to use that to lead marine life expeditions it’s the perfect slot for me. There’s a natural progression in there somewhere [Laughs]. Have you had any experiences with marine life that changed your life? Where and how? I really have. Diving with a bigeye sixgill shark (Hexanchus nakamurai) with BBC Oceans off the Straits of Messina in Italy; we’d spent 4 days trying to get there, and we finally hit on the idea of tying 8 kg of fresh tuna to my weight belt, and if there was a shark there it would be attracted to me. I was in 50 m of water and we saw nothing. Then in the last 15 minutes of the dive this 4 m prehistoric-looking shark came over and I was able to touch it as it went past. Looking in those big green eyes was an amazing moment for me. I remember going up and leaving him down there swimming lazy figures-of-eight. What is the role of communicators like you in tackling big challenges like ocean acidification and plastic in the ocean? We’ve got enough data on climate change and ocean acidification that we know what’s happening, but we’re not going to change anything until we learn how to communicate it properly. My job is finding innovative ways of using science to get these messages across. The benefit of not being a scientist is I can cut to the chase and get away with simplifying concepts—although not dumbing them down. So if we know that toxic, persistent chemicals are getting into birds, fish and seals via microplastics then it stands to reason they must be in us too. If we talk about the great Pacific garbage patch and see films of albatross chicks on Marshall Island, guts full of things we throw in the sea it seems so remote and distant. But if I can walk around the coast of Britain, as I did a couple of years ago, and pick up a dead fulmar and pull out bits of plastic, bits of margarine tubs, then people say, blimey that’s on the coast of Yorkshire. I do talks for the UK shellfish industry. They are investing a lot of time and effort in communicating about ocean acidification and doing a good job of raising concerns and lobbying for the science that will inform better policies. Why should we care about big marine reserves? We take from the ocean through fishing, expecting it to manage all our CO2 and using it as a dumping ground for all our waste. Then if I talk about a savings bank, we have to put some savings in there—the way you manage your money—and people start to get it. That’s my work with National Geographic, we are pushing the point that we have overfished, overused and polluted the sea and we continue to do damage, but remarkably there are still some pristine places and our job is to go to the last wild places in the ocean and help the host countries turn them into marine reserves. So far we’ve done that for over 1 million km2 and one I’m working on now is Pitcairn [the proposed MPAs in the UK Overseas Territories: Pitcairn Islands, Ascension Island and South Georgia and the South Sandwich Islands]. 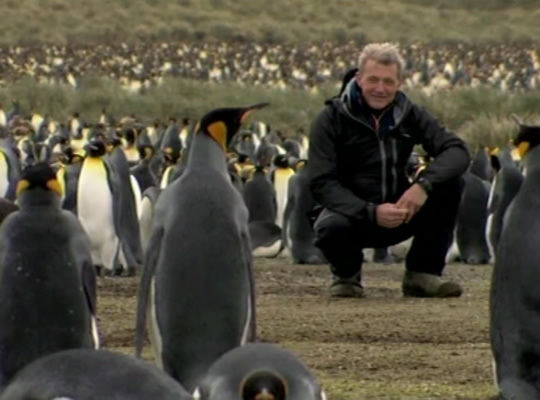 We have big hopes that they will be announced as a marine reserve by the UK Government before the next election. I can talk in a non-scientific way about marine reserves acting like a volcano of fish, and people get this image in their minds. For scientists its spillover; the whole ecosystem can return to a balance, where you’ve got that lovely upside-down pyramid where top predators like sharks make up a much higher proportion of biomass than fish lower down the food chain, a big turnover rate and healthy more resilient corals. The fish don’t know where the edges of a marine reserve are and this whole beautiful ecosystem starts bursting after only 4–5 years, the spillover gets massive and fishermen around the edges are doing much better than they were in the first place. Scientists might think: hang on, a volcano of fish is a bit strong, but people like me in the communications business need powerful ways to get people engaged in the science side of things. What is the biggest challenge for society if our generation is to reverse decades of marine environmental degradation? The biggest challenge is to get across why people should care about ocean issues, so that they can influence politicians. In the UK when an ocean issue comes up and we want our politicians to act then we stand a chance of it happening. Similarly in America: look what Obama has just done with the Pacific Remote Islands marine reserves. There is an ocean constituency and Obama and his team have the political will. Where it is difficult is in places without an ocean constituency. I led an expedition to Mozambique last year. Because of their difficult history and 20 years of civil war, they’ve lost their connection to the sea. They need to do something about their beautiful waters pretty quickly or they’ll go beyond the point of no return. It’s a slow job but by working with kids there and then influencing partners who are connected to the Mozambique Government we are helping them build up an ocean constituency so that we can influence political leaders to make the right decisions. The UK has the fifth largest marine zone in the world. If the proposed MPAs in the UK Overseas Territories are designated do you think the rules can be enforced in any meaningful way? Absolutely. Monitoring of illegal fishing used to be almost impossible and until a few years ago the UK Government shied away from designating these big marine reserves. Now, with the satellite Catapult system, regulators know when ships turn their Automatic Identification System (AIS) on or off and can detect and track vessel behaviour such as the pattern of longlining or setting nets. At the World Parks Congress in Sydney in November Google launched Global Fishing Watch. The prototype is using year-old data but soon they will use real-time data and then there will be crowd watching; everybody who is interested can go online for free and say, I know this is a marine reserve, let’s see how many ships are going through it. So all of a sudden there’s nowhere to hide for these ships. The trick now is how do we manage that in terms of international law? If a Panamanian registered vessel belonging to a Korean fish company goes through UK waters and sells fish in Chile, who prosecutes? Some of the big fish wholesale companies are agreeing to track fish so when it comes to market it is guaranteed legal and sourced from open fishing areas. Consumers will get smarter too. It won’t be long before people in supermarkets will be asking to see the stamp that shows that fish are legally sourced. Now with these systems we’re almost at the end of illegal fishing. We’re in a sweet spot for people who love the sea. You travel the world a lot. Which countries or regions seem to you to be leading in terms of taking action to protect marine resources? The UK is a leader. The language used in the US by Obama, Kerry and NOAA on ocean exploration is really good, really inspirational. Palau’s Exclusive Economic Zone is closed to commercial fishing. Also, the President of Gabon has outlawed commercial fishing in 23% of his nation’s waters. What advice would you give to a young person who wants to be involved in marine biology? Go diving. When you finish your degree don’t worry if you don’t get a job as a scientist; for every field scientist there are two to four science support workers who dive, run boats, drive trucks and keep generators going. There are jobs for plumbers, carpenters, electricians, groundworkers. Get a job in front line science support. I’m getting ready for four expeditions: the outer atolls of the Seychelles in March; north-west Greenland in summer; Galapagos deep seamounts; and then Patagonia in November. Four big ones this year [Laughs]. Are you an ocean optimist? Why? Totally. I really am. We don’t have all the solutions for marine issues but we’re working on it. We’re not chucking as much in the sea as we used to. I’m working with a team in Hong Kong who can tell where plastic comes from—like plastic DNA. In regions strongly affected by climate change we can see where ecosystems have adapted and some can adapt very quickly. I’ve worked on corals in Eritrea where its 34°C and they’re absolutely thriving. I have been back to reefs in the Seychelles after the 1999 bleaching event and it’s absolutely beautiful. How long you are you going to continue working in ocean exploration? For the rest of my life. I’m never going to stop.